To see the detailed list of features done in the 2.x cycle please check the Release Notes for each version. Read more about this application and learn how to configure it by visiting the application page. 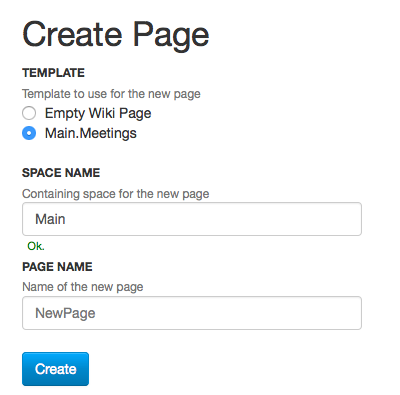 Starting with XWiki Enterprise 2.4 users and applications can provide documents that can be used as template when creating new pages. The new document content (content, objects and other metadata) will be replicated from the template. Follow the Clustering Admin Guide and Clustering Tutorial for a complete tutorial on how to setup a simple cluster between two instances of XWiki on the same server. If you are developing an application and you need to provide your users with a way to configure it from the Administration Application you are in luck. All you need to do is create a custom class holding all of the configuration for your application, then add an object of your custom configuration class and an object of XWiki.Configurable class. You will be able to configure your application from the administration interface. The following is an image of the administration interface with additional applications to be configured (you can customize the icon used).